From the Forums: ‘DFRobot_UNO_XBee1’ is an Arduino Rover with TFT Touch Screen XBee Controller « Adafruit Industries – Makers, hackers, artists, designers and engineers! Fun-looking little rover-bot. Thanks to Adafruit forums user asteroid for sending this in. Watch the video below to see it in action and you can view the full sketch source here on GitHub. 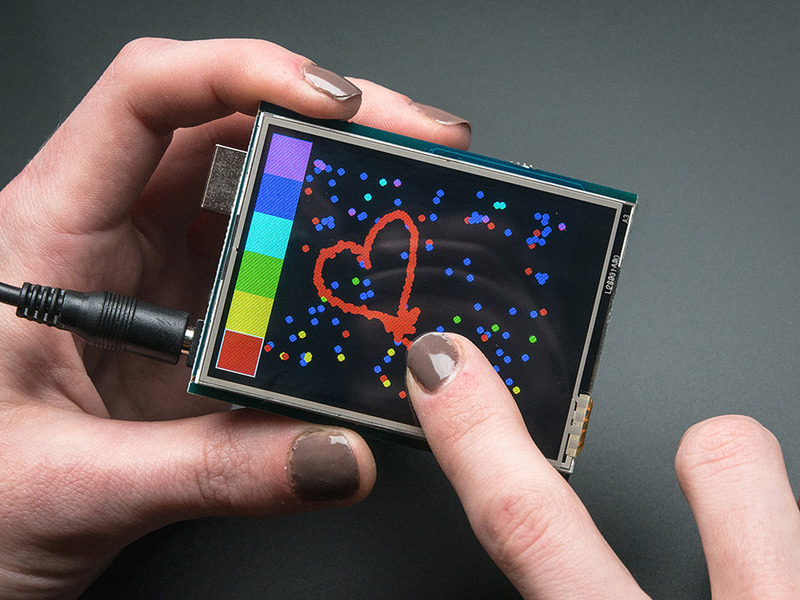 2.8″ TFT Touch Shield for Arduino with Resistive Touch Screen: Spice up your Arduino project with a beautiful large touchscreen display shield with built in microSD card connection. This TFT display is big (2.8″ diagonal) bright (4 white-LED backlight) and colorful (18-bit 262,000 different shades)! 240×320 pixels with individual pixel control. It has way more resolution than a black and white 128×64 display. As a bonus, this display has a resistive touchscreen attached to it already, so you can detect finger presses anywhere on the screen. Read more. 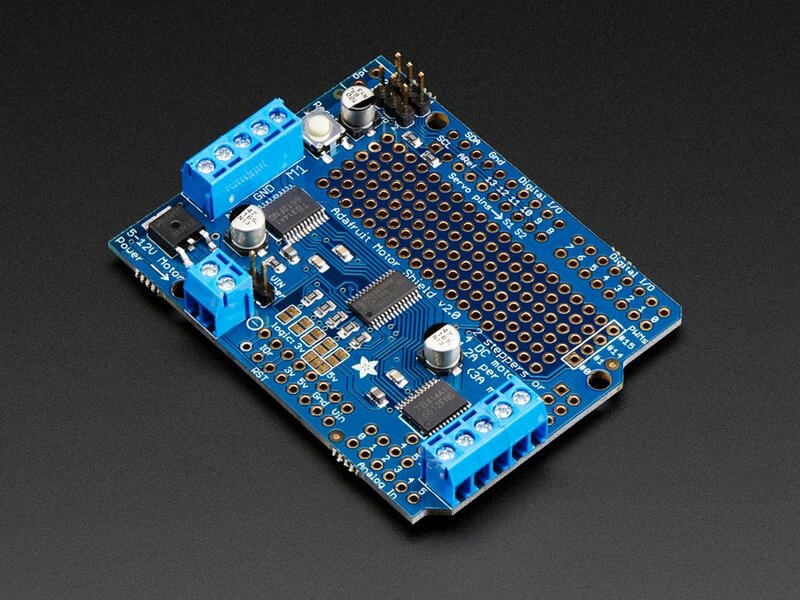 Adafruit Motor/Stepper/Servo Shield for Arduino v2 Kit – v2.3: The original Adafruit Motorshield kit is one of our most beloved kits, which is why we decided to make something even better. We have upgraded the shield kit to make the bestest, easiest way to drive DC and Stepper motors. This shield will make quick work of your next robotics project! We kept the ability to drive up to 4 DC motors or 2 stepper motors, but added many improvements… Read more.